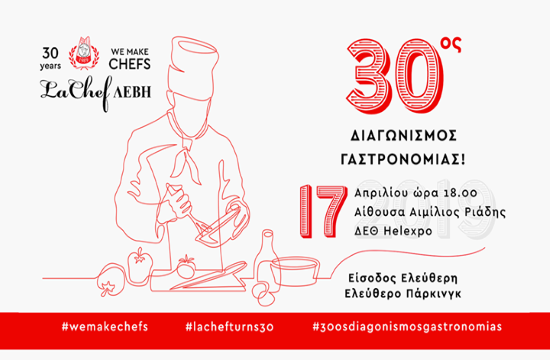 Greece's first private chef school, La Chef Levi, will be celebrating its 30 years of operation with an anniversary gastronomy contest, to be held at Helexpo TIF - Thessaloniki on April 17, ANA reports. Students of cooking and pastry-making will compete in four categories of gourmet gastronomy and will be judged by renowned chefs and professionals in the field. The event is to feature live music, and live shows where the school's pastry chef's will cooperate with students, using chocolate, sugar paste and candy shows to create large-scale confections and pastries.